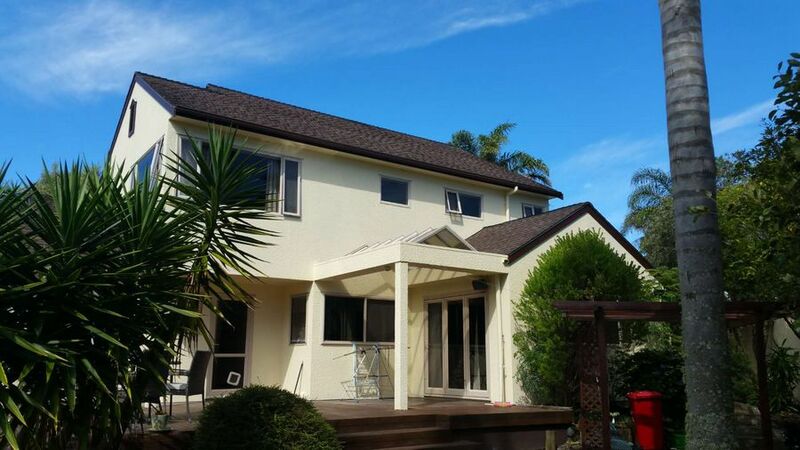 A list of our well done exterior and interior house painting jobs in all North Shore areas. We use Dulux and Resene professional paint and painting supplies only. Free fixed price quotation, quality guaranteed. Dulux Weathershield low sheen, color Narrow Neck; Under eave and barge board: South Alps, low sheen vivid white. 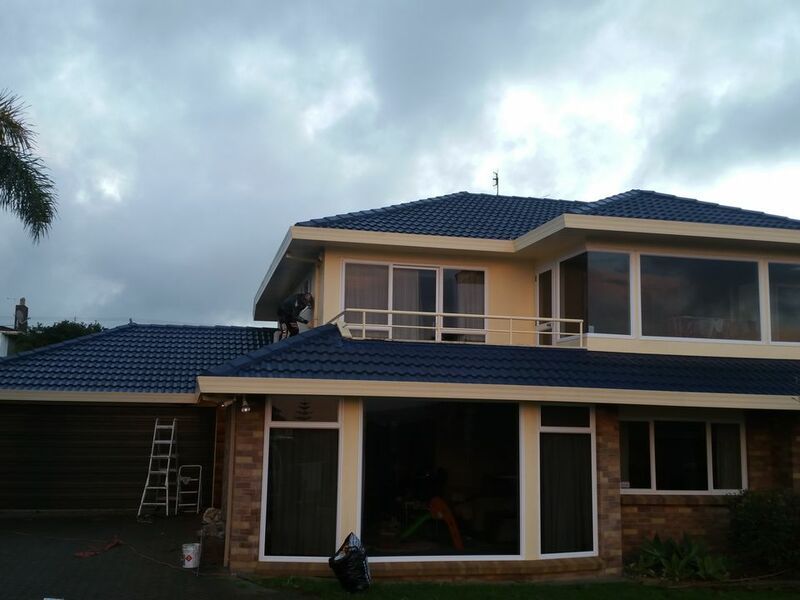 Dulux Roof & Trim, Gloss, Color: Metallic Earth. The metallic roof paint is only available at “Gloss”. Regular roof paint start from semi gloss, to gloss and high gloss. People choose the “semi” a lot. 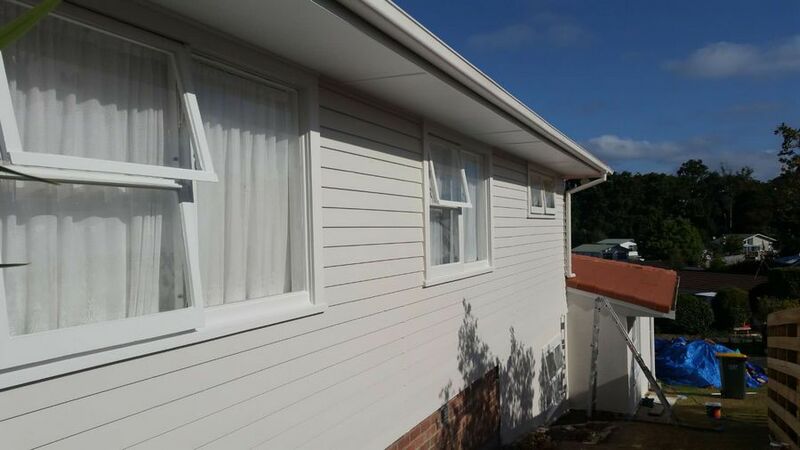 Weatherboard: Dulux Haast Weathersheild Low Sheen exterior paint; Under eave, Dulux Southern Alps, Weathershield low sheen. Windor frames are Lumberside Semi gloss exterior Resene paint. Doors and Garage is Resene Woodsman waterborne penetrating oil stain. Plaster wall exterior is Dulux Acratex Elastermeric 201. The weather board flat house was not taken care of in the last 10 year under rental. The job involves cutting trees around the house, plant trimming, a total house wash, peeling paint removal, skimming, sanding, priming and finally the easy part is actually the painting works. 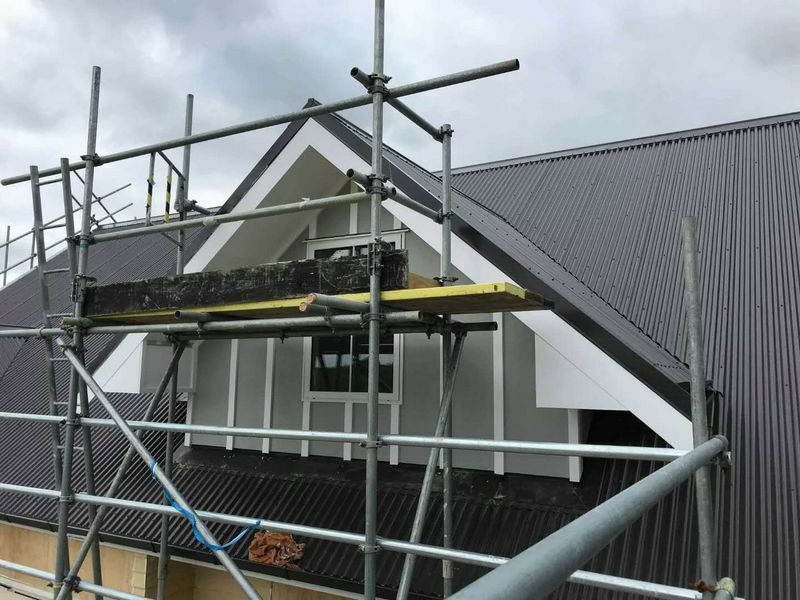 Coatesville new built lifestyle house and cottage exterior painting, Resene paint, basic sanding, under coating and two top coats. Two painters did eight faces in 5 days. This is a quick job because customer wants to remove the scaffolding soon so we do the top parts only. Exterior weatherboards and frames will be done as a separate project later. We have 5 painters working as one or two teams. 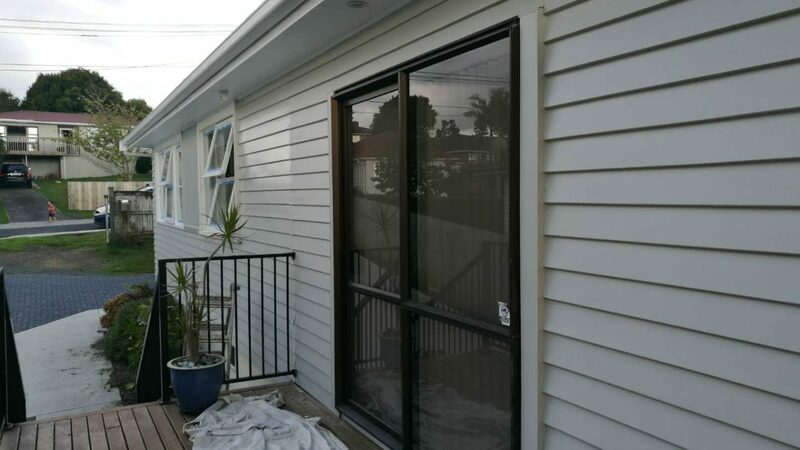 Most of the house exterior or interior painting works can be done in less than one week. This is our advantage. We do fixed price quote, no hourly charges, you are going to have more flexibility to arrange other activities. Most of our painting works are renovation or maintenance, a lot of preparations works are required. New built houses are much easier. 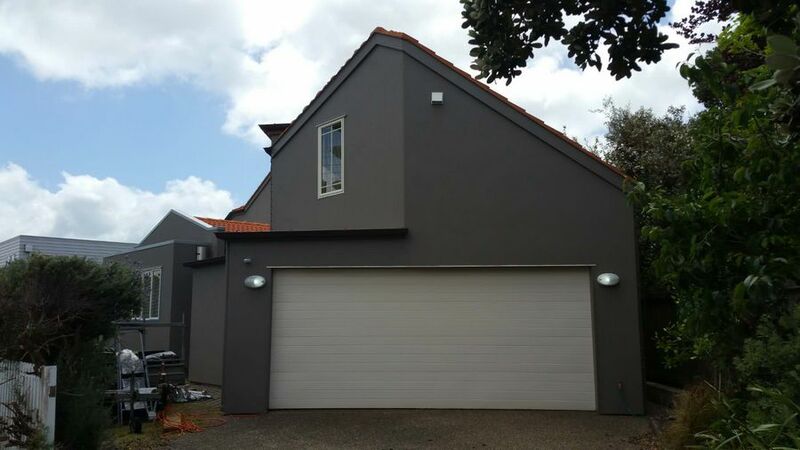 Dulux Acra.Tex Elastomeric 201 for plaster house exterior painting, Weathershield for timber trims. Elastomeric leaves minimal roller stipple for even coverage and weather proofing as well as Anti-carbonation, only available in matt (low sheen) format, to enhanced crack bridging, water tightness, high tensile strength, long term durability, dirt resistance, protect spalled concrete and good crack bridging. 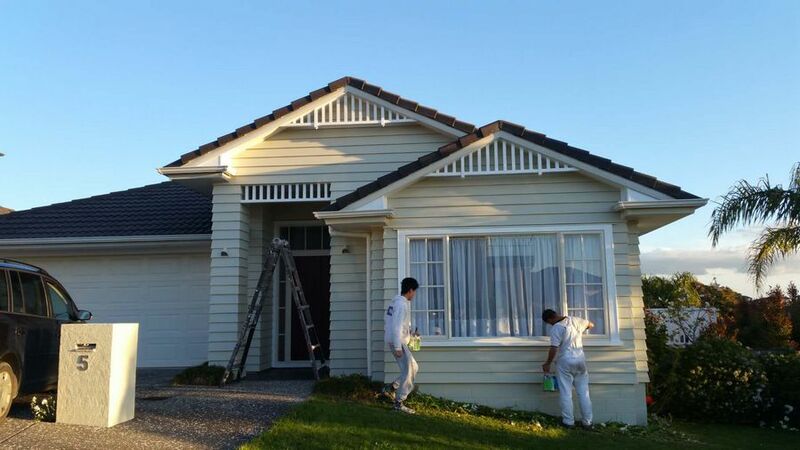 The paint will be applied ideally to all type of plaster house exteriors which is very common in Auckland. Plastering house owners have been worrying about water leaking from the crackings or possible cracks for a long time. 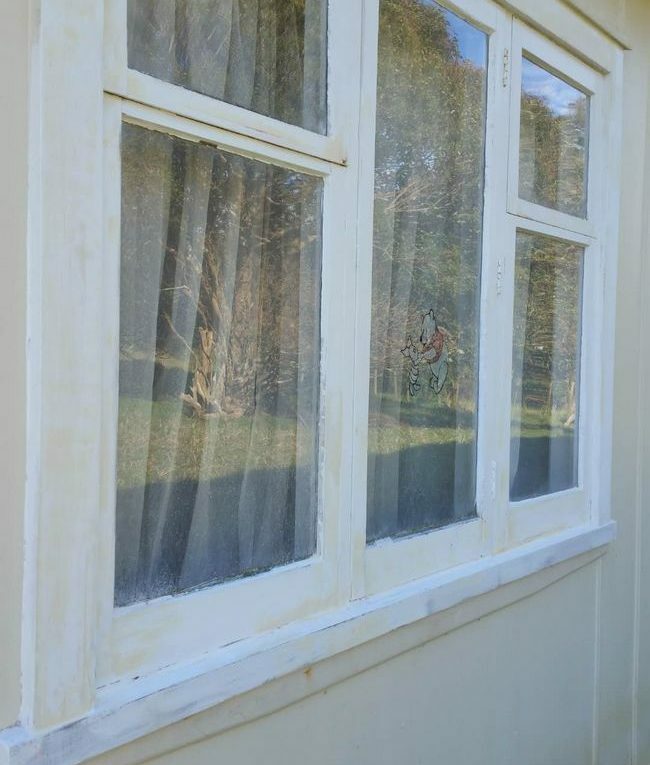 Regular maintenance painting helps to prevent crackings from happening before more problems are created.